I am so excited to finally be able to share my Flower Box cushion, which is in the newest issue of Make Modern magazine! This issue (their 5th) is now available from Make Modern's website. I hesitated about submitting this design because my style is rather traditional and I didn't know if it would be considered modern enough, so I was especially thrilled when it was accepted. 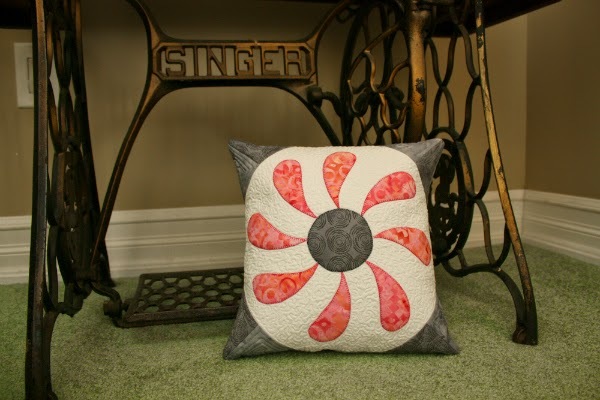 The cushion is made with one 12" block and uses both traditional piecing and applique. Apparently I like to make mixed technique projects, since my Twirling Star pattern is made with traditional piecing and paper piecing. Do you like to mix techniques in you projects? Cushion covers are quick projects that give that gratification of a finish almost as soon as you start! Plus, they're small enough that you can practice your machine quilting without committing to a huge quilt. 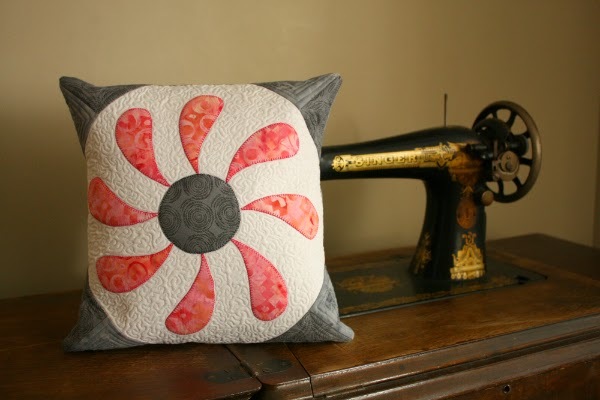 If you make a Flower Box cushion, or use it as a block to make a larger quilt, I'd love to see it! Send me a picture or a link to a blog post, or tag me on Instagram (I'm @devotedquilter). In celebration of my first publication, I'll be linking with Can I Get a Whoop Whoop, TGIFF and Finish it up Friday. Very nice photos, Leanne, and congratulations on being published in Make Modern! Congratulations Leanne, delighted to see your cushion when I opened MM today! Congratulations! It's a lovely block that makes a great pillow! I guess we're all hungry for flowers, because they're everywhere this week! What a cute design. Love it! So cute! 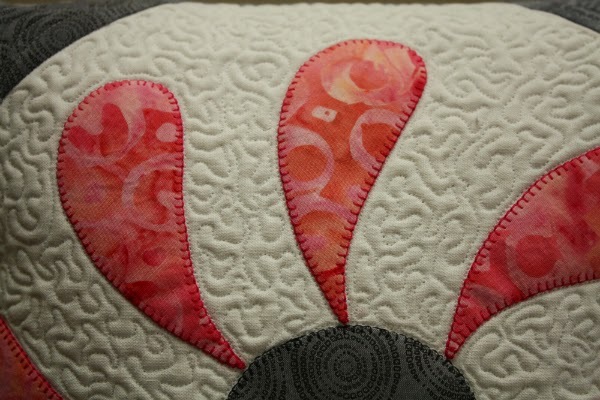 Love the quilting - really makes the flower petals stand out. Congrats for your publication! The pillow is great! It's so fresh and unique! Congratulations on your magazine feature-well deserved! !